Bansko really doesn’t stop surprising us. With its variety of natural and historical sites of national importance, this mountain town has a plenty to offer to everyone and you can’t feel boredom while you are there. Besides the excellent ski runs and the variety of taverns and night clubs, in the vicinity of Bansko are located many archeological sites, houses of prominent figures from the Revival period and natural phenomena, which are of great importance to the region. They are an integral part of the historical heritage of the area around Bansko, and nowadays, thanks to them, we can learn what was the everyday life and the traditions of the Bulgarians of those times. Although Bansko is a small town, it has played an important role as an educational center in the Revival period, thanks to which the Bulgarian memory, culture and spirituality has been preserved. In the town are located the houses of some of the greatest figures of the Bulgarian history that have found place in the textbooks forever with their great life-work and educational work in the Revival period. Bansko seems to offer us a trip with a travel machine that takes us to the past and gives us the opportunity to learn some interesting facts about how the people from Bansko lived then. One of the places that proves this fact is the Radonova house. This house is the first of its kind museum complex in Bansko. The expositions and the documentary materials in it directly testify to all the events and changes which the area has suffered during the Revival period. Anyone who is interested in the Bulgarian history shouldn’t miss to visit this memorable site in Bansko. In the Radonova house you can see a photo-documentary exhibition named “Heroic Bansko”, which was renovated and expanded in 1988. 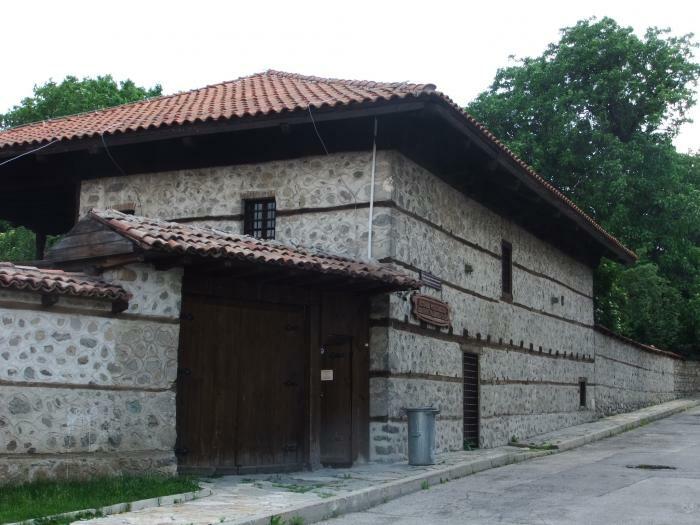 The Radonova house is declared a monument of culture and it is of great local significance for the Bansko region. This museum complex has a significant contribution to the multiannual tradition with regard to the museum work in the region of the town of Bansko, through its variety of museum exhibits, authentic materials such as photos, documents and items, revealing the real life of the people and the events that have marked the Revival period. The Radonova house dates back to the beginning of the XIX century. Major role for the establishment of a historical museum complex in the town of Bansko in 2007, has gen. Krum Radonov who has made a free donation of his share of the house that was left to him after the death of his father. A certain amount of time in this part of the house there was nothing until the development of exhibition plan and conception of the future museum collection. Currently the Radonova house functions as the historical and ethnographic museum of the town of Bansko. Due to its rich history and collections, it has been declared a cultural monument of local importance. Thanks to its existence a small part of the rich past and lifestyle of the residents of Bansko is preserved. In the Radonova house has lived Hadji Kandit Dagaradin, who was famous for being a prominent figure in the national liberation movement. It is known that he had been an adherent of Vasil Levski and Georgi Benkovski. It is a well-known fact that the Radonova house has belonged to the rich family Hadjivulchevi and in particular to Mihail Dimitrov Hadjivulchev, who was born in 1854 and died in 1920. He was a participant in the detachment of Bonyo Marinov. He left the house in order to go and live in Sofia. Mihail Hadjivulchev accommodated in the house his father-in-law Hadji Kandit Dagaradin. Laten on Hadji Dagaradin was killed in this house. After his brutal death in the house was accommodated by Mihail Hadji Vulchev a relative of Hadji Kandit, who was Georgi Hadjiradonov – the father of Krum Radonov. Years later he bought the house and from that moment on it gets the name Radonova house. Krum Radonov has played an important role in the Bulgarian history. His full name is Krum Georgiev Radonov with the nickname Bai Georgi and he comes from a family of small farmers and landowners. He was born on March 8th1912 in the family of Georgi Hadjiradonov and Raina Hadjiradonova in the town of Bansko. He died in 2002. He has a brother called Hristo Radonov. He was a teacher and worker in the Bulgarian Communist Party (BCP). He also participated in the Communist and partisan movement in Bulgaria during the World War II. Krum Radonov was also a military officer, officer, lieutenant – general, and a commander of the Fourth rebellion operative area of Gorna Gzhumaya. His brother was also a lieutenant – general. Krum Radonov completed his education in the Nevrocop pedagogy school in 1931. On July 11th he collaborated with Ivan Kozarev and became one of the main founders of the Partisan detachment of Razlog. In April 1943 he was a head of the Partisan detachment „Nikola Parapunov“. In 1943 the drumhead court martial in Nevrokop sentenced him to death in his absence. Since March 1944 he was a commander of the Fourth rebellion operative area of Gorna Gzhumaya, and since August is a deputy-commander of the Rila-Pirin partisan detachment. In 1944 – 1945 he was a member of the Regional Committee Gorna Gzhumaya of BLP. He wrote the memorial book „Memories“ and he was also an active participant in the Nikola Vaptsarov discussion. What is available to see in the Radonova house? The Radonova house has a lot to offer to every visitor. The house has two floors and in its residential premises are located the expositions, showing the development of Bansko in a historical aspect (from the establishment of the mountain town to its liberation from the Ottoman Rule in 1912). 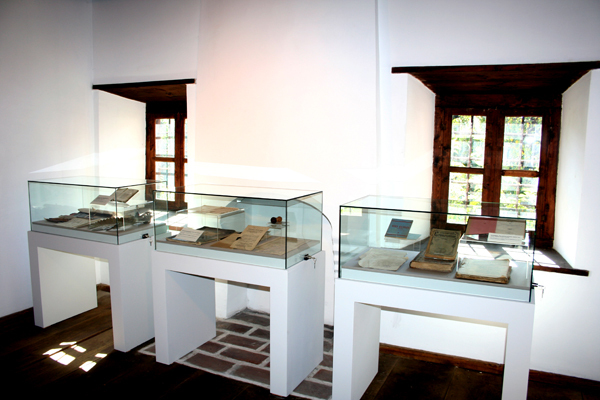 A variety of exhibits is available there, reflecting the cultural and historical heritage of Bansko. In the house you can see authentic traditional items from the daily life of the residents of Bansko. The house accommodates a rich archive of documents, photos and a number of materials from the Revival historical period. The visitors of the museum complex can see exactly how the local residents of Bansko have decorated their homes. In the museum you can see also a variety of authentic documents, as well a rich archive of photos from the moment the house was created to the present day. On the first floor of the house there are renovated economic buildings, where is located one interesting exposition showing a number of authentic findings, found during the archaeological excavations in the region during the last decade. 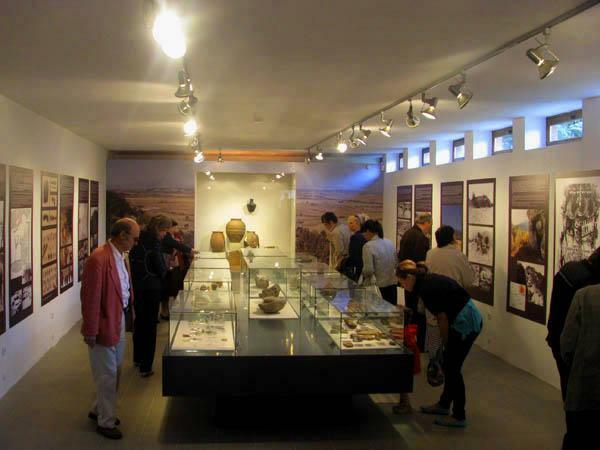 The museum expositions include completely preserved in their original state vessels and various ceramic fragments, household items, different collections of coins, glass fragments, exhibits of the early Christian basilicas, parts of fortresses. These items are a true evidence that the region was inhabited since the period of the Thracian civilization, and also during the Ancient and Middle Age periods. On the second floor can be seen an exhibition presenting rich ethnographic material. It includes a rich variety of household items, reflecting the material and spiritual prosperity. There you can also see colorful costumes, beautiful ornaments, carpets and other things. The ethnographic exposition helps us to better understand the specifics of the everyday life and the traditional customs of our ancestors. The household items are characterized with simplicity of the workmanship, but also they have elegant style and beautiful decorations. They had to be both accessible to the ordinary people and practical for everyday life use, as well to meet the aesthetical requirements of the period. How to find the Radonova house? The historical and ethnographic museum “Radonova house” is located in the center of the town of Bansko on the “Aton” street. It is very close to the Cultural and historical center “Otetz Paisii”. The working hours of the Radonova house museum complex, are every day from 9:00 to 12:00h and from 14:00 to 17:00h.